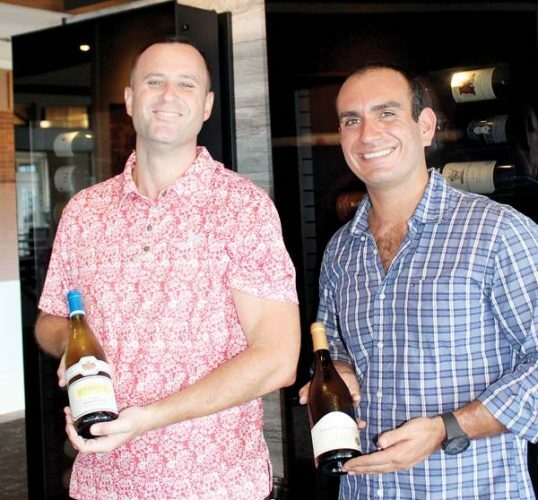 At the risk of sounding like a geezer, it’s been fun to experience the building and the evolution of Maui resorts and restaurants over several decades of writing about the isle’s culinary scene. 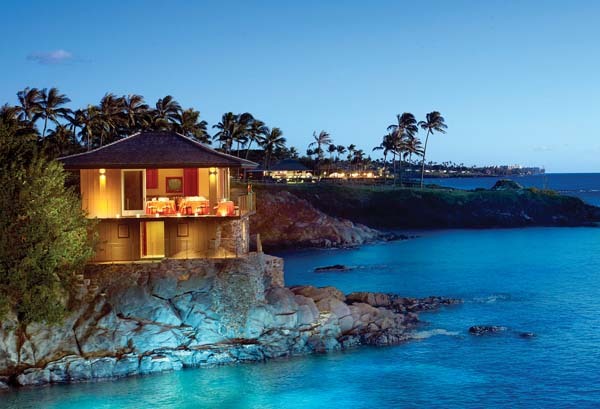 From the first minute I stepped foot into the lobby of the new Westin Nanea Ocean Villas and saw the beautiful inlaid piko, or umbilical cord, depicting the” center” of the resort with the magnificent wood carvings on the ceiling, I knew its planners captured Maui’s essence right. 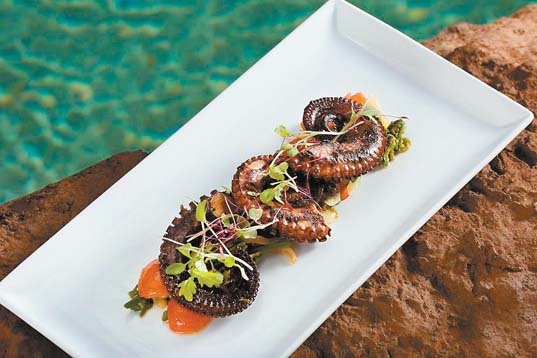 Then I stepped into the Mauka Makai restaurant and was dazzled with its open air minimalist approach to design, which allows you to focus on the cuisine — and the pool, the ocean and the sunset views beyond from the spacious tables. Each and every bite by Executive Chef Ikaika Manaku impressed and satisfied; from the butter-poached Kona lobster in edamame pea risotto with gingered heirloom carrots and olena gastrique; to the pohaku natural prime rib eye that you cook on hot rocks and then dip into calamansi ponzu and scallion marmalade. Manaku continues that the whole Pacific Rim concept has been played up to the hilt with mac-nut crusted mahimahi with wasabi mashed potatoes and such. And what he likes to eat, it turns out, is what I like to eat. I’ll even venture to say that you’d enjoy it, too. Begin with an array of favorite small-plate starters. The seafood luau is crazy good with local taro, octopus, snapper, Kauai prawn and coconut creme fraiche — like a super deluxe upgrade to any regular luau fare and something I’ll try at home. Manaku also does a chicken pate that was off the charts with sweet Portuguese brioche, alaea sea-salt crostinis, blueberry gastrique, Waimea baby cukes and toasted walnuts. I say bring the whole ohana for a pupu party and dive into these and more small plates of signature pork and ahi, misoyaki butterfish with bacon jam, and Kauai prawn ceviche with charred shishito poke. The Hawaiian word, “mauka,” translates to “toward the mountains” and “makai” is in the “vicinity of the ocean, “ so the menu is based upon the ancient Hawaiian way of life in the “ahupuaa,” or “pie-shaped districts” from the top of the volcano all the way down to the sea. Manaku pulls from Hawaii’s storied past and modernizes dishes such as whole crispy catch he wok fries with shimeji mushroom poke, and serves with garlic-and-beef butter fried rice, pohole fern salad and more. 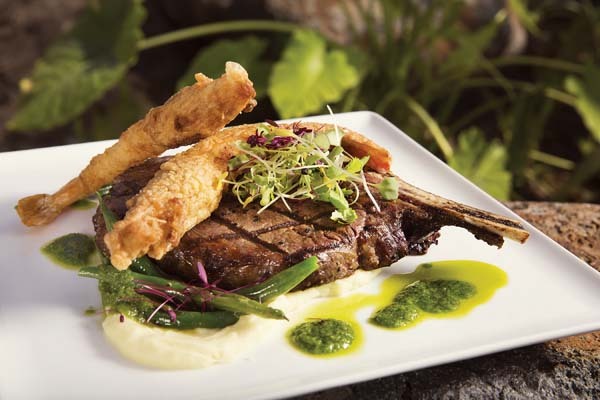 He lets you sink teeth into the juiciest natural prime grass-fed New York strip with hapa potato puree, local asparagus and Big Island mushroom glace. 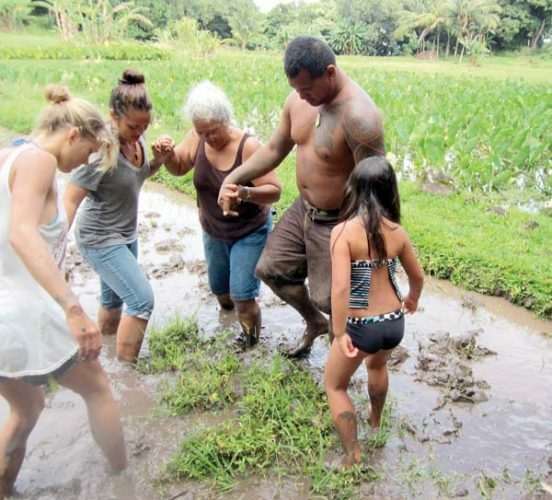 Manaku’s recent Pig & bourbon event at Mauka Makai restaurant is a case in point in which he bought a whole pig from 4-H Maui farmers and delighted attendees with various preparations. 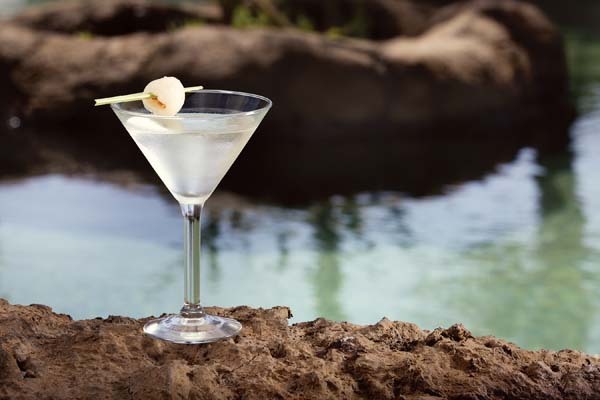 Another event that promotes Maui’s local farming and agricultural heritage will be Vodka and Potatoes on Aug. 28, featuring Upcountry organic spirits paired with spuds in gourmet dishes. 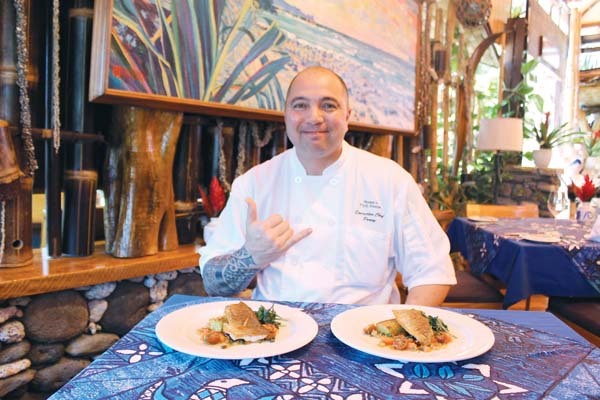 Mauka Makai is also introducing the new Na Po’o Ka La sunset menu with seatings from 5:30 to 6 p.m. Savor a three-course feast of full-sized portions. 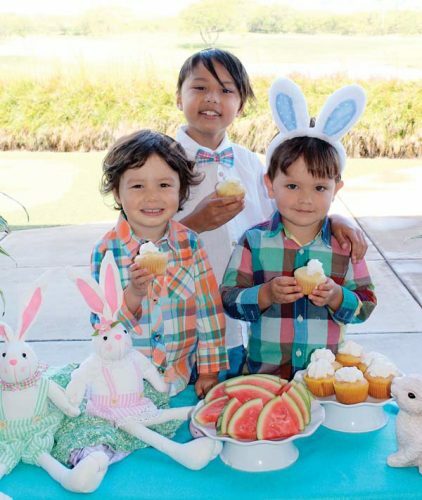 Entree options are locally caught pan-roasted shutome with Portuguese brioche; savory grilled pork chop with Yama sweet potato brulee, signature pork and ahi; and shichimi-seared ahi and housemade Maui onion jam. Desserts are the Baked Maui (an island twist on Baked Alaska) and lilikoi Surfing Goat cheesecake. The Inu Pool Bar does a fun happy hour from 3 to 6 p.m. daily with Patron tequila barrel aging right on property served in a cocktail with house hibiscus syrup or on the rocks; local craft beer and Conundrum and Justin wines by the glass. • Breakfast: Is served daily from 6:30 to 10:30 a.m. with your choice of buffet or a la carte grilled salmon bento, and gourmet bacon and eggs with chorizo gravy. 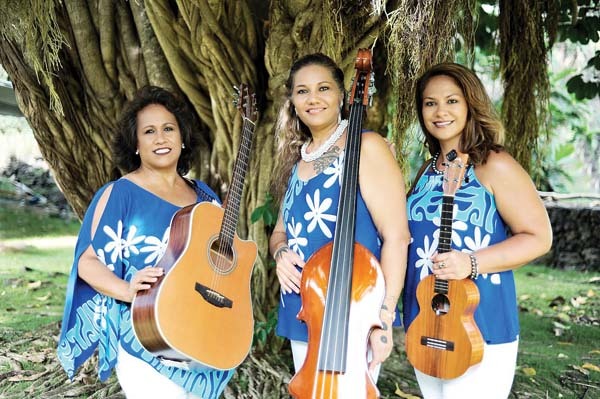 • Dinner: Is served from 5:30 to 9 p.m. Live music by George Paoa or Keoki Ruiz on stage as soloists is 6 to 8 p.m. Wednesdays through Fridays. 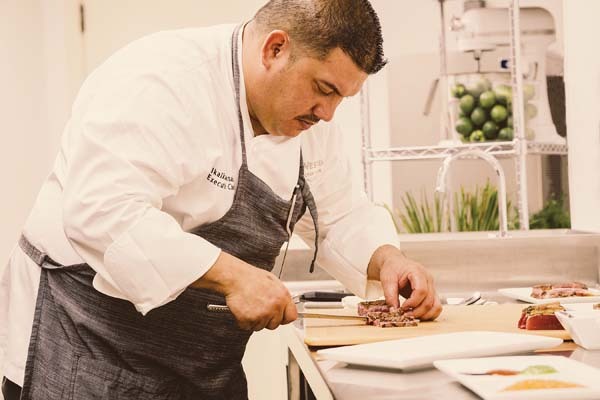 The cuisine spans from the mountain to the sea. 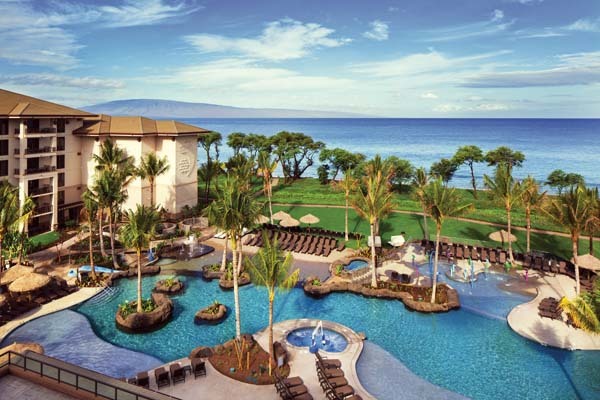 • Where: Poolside at the new Westin Nanea Ocean Villas in north Kaanapali. • Na Po’o Ka La sunset menu: Seatings are from 5:30 to 6 p.m. Three-courses cost $45 per person, plus tax and tip. • Inu Pool Bar: Open 10:30 a.m. to 10 p.m. with happy hour from 3 to 6 p.m. Nanea house barrel-aged Patron tequila is $8 per shot or cocktail; Maui brewed beers are $4; and Conundrum wines by the glass are $9. • For reservations and further details: Call 662-6370; or you may visit www.westinnanea.com.